This live stream has concluded. You can watch the replay below now. 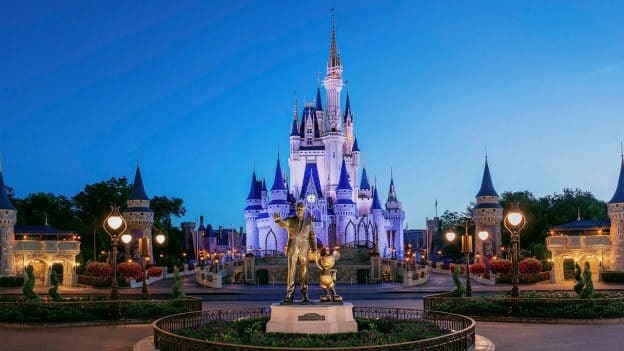 The Super Bowl celebration makes its way from Atlanta to Walt Disney World Resort today when New England Patriots stars Tom Brady and Julian Edelman take part in a magical parade at Magic Kingdom Park. And if you can’t make it to Walt Disney World Resort to see it all unfold in person, then you can still catch all of the excitement by tuning into our live stream here on the Disney Parks Blog. This was such a treat to watch via streaming! Thank-you so much, what lucky fans that were there and got to view the GOAT #1 and GOAT#2!!!! Tom and Julian – each have the heart of a CHAMPION! Enjoy your Disney Celebration!! The City is buzzing for you today!! Duck Boats are ready for tomorrow! Much Love from Cape Cod!